Hello. How are you doing in this snowy spring? 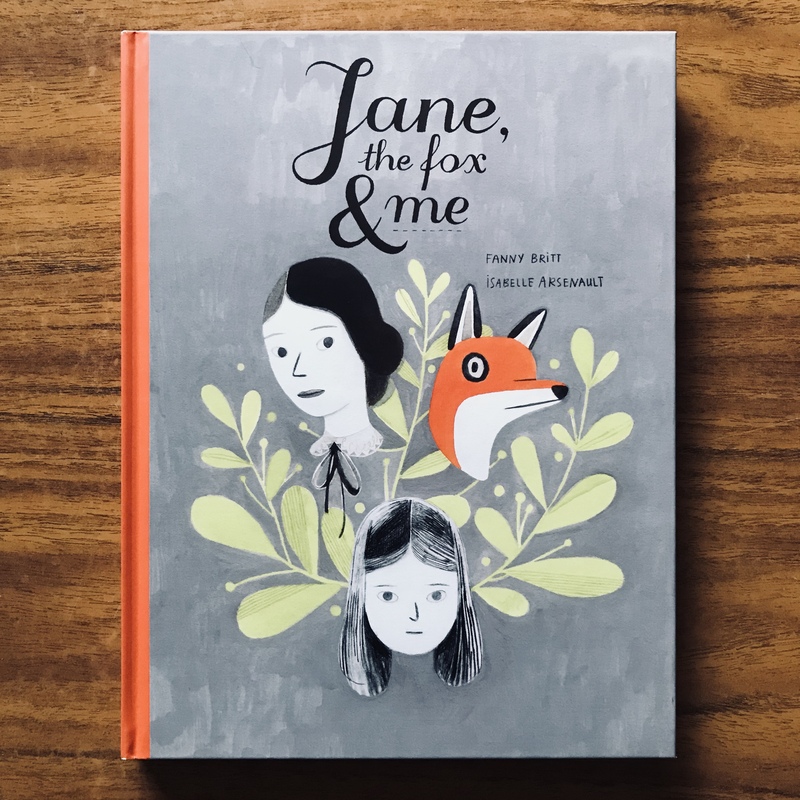 As today, the third of March, is the Girls’ Festival (Hina-matsuri) in Japan and the International Women’ Day (8th) is coming up, I’m going to share a beautiful graphic novel that many girls (and boys) can relate to – Jane, the Fox & Me, written by Fanny Britt and illustrated by Isabelle Arsenault (UK edition published by Walker Books 2014). The story is a monologue of a girl called Helene. She wishes she could be invisible at her school where she gets bullied by girls who used to be her friends. They called her fat and stinky. To escape the reality, Helene dives into the pages of Jane Eyre. She finds refuge in the story the unloved orphan grows up to be clever, slender and wise, and falls in love with her master, Mr Rochester. Don’t worry. There’s a redemption. Helene’s world brightens up when she meets Geraldine, a girls who has left her ‘snob’ group. They immediately click and become best friends. Helene also gradually begins to worry less about what the other people think. Towards the end, her world becomes less grey, like literally. Fanny Britt‘s writing is so genuine that I believe many of us can relate to. Although my school life wasn’t too bad, this book brought me back the pain of trying to fit in, embarrassing feeling towards your own ever-changing body, frustration of being misunderstood, and agony of self-hatred. I realised the emotional scars I got from my school days still hurt if I touch them. Regardless she is popular or outcast, I don’t think there are any girls (and boys) who are 100% happy with their looks. Even to adults self-confidence is a big issue. How could kids deal with it? So, this book is what I’d love you to read when you feel self-doubt and to share with girls (and boys) who are struggling to tell them that it’ll be fine, you’re not alone in the struggle and you will find someone who will get you and let you be yourself.